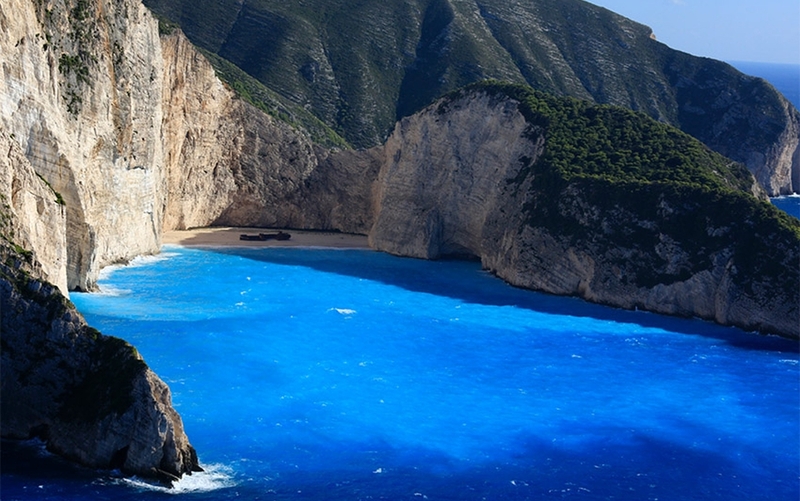 Looking for a perfect vacation spot to escape the world? 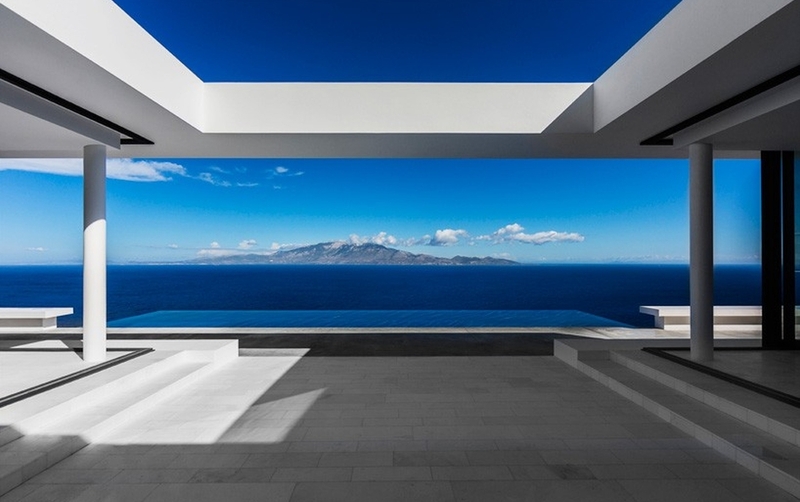 Well, this minimal house surrounded by picturesque Greek seascape offers an idyllic living space for unwinding. 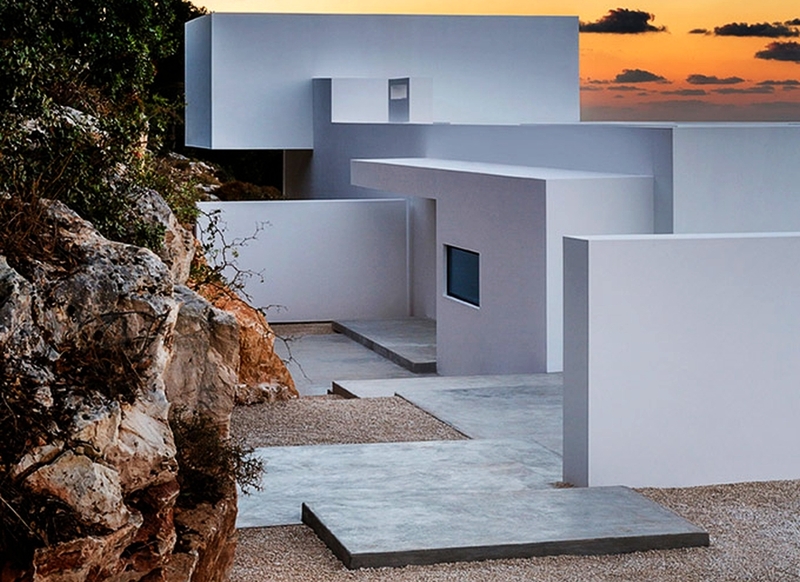 Designed by Brussels-based architect Olivier Dwek, the house elegantly rests on the Zante Island, overlooking magnificent Ionian Sea. The white home is purposely designed with minimal architectonics, so the inhabitants can effortlessly interact with the surrounding environment. Both exterior and interior of the two-story building are painted in white with huge windows to provide maximum views of the panoramic seascape. First level of the building includes entrance hall, living room, outdoor dining room, patio, swimming pool, kitchen, terraces and a bedroom. On the other hand, master bedroom is in the second level to provide stunning outside views straight through the comfort of a cozy bed. 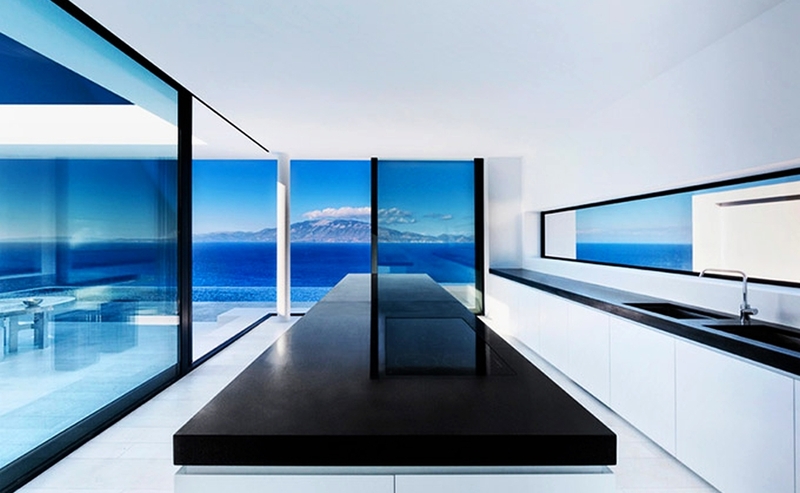 Every room in the house is turned towards the seascape, forming contrast between classic black and white interior with breathtaking exterior. There are carefully created black window frames that give somewhat bordered appearance to the outside scenery, as if huge wallpapers of natural landscape are fixed onto the walls. You’d not want to leave this serene haven after staying here for a day or two. 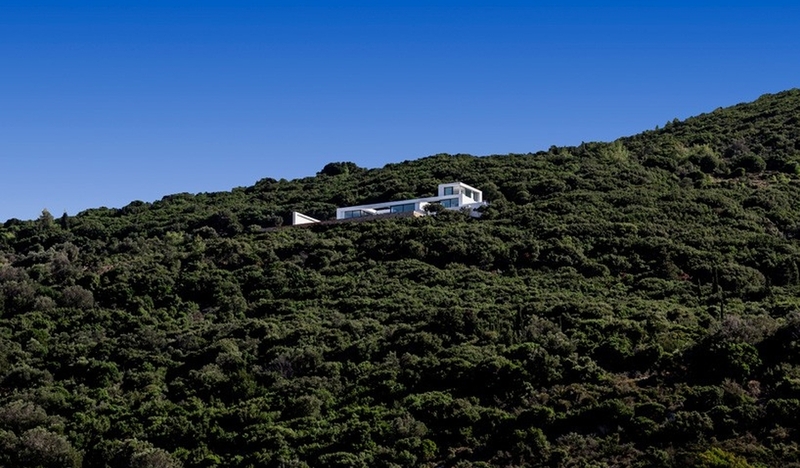 Nature lovers will certainly fall for this outlandish home that has more to offer than a simple seafront living. Update: According to Olivier Dwek – the architect of the house, name of the two-story building is ‘The Silver House’ (not House T).